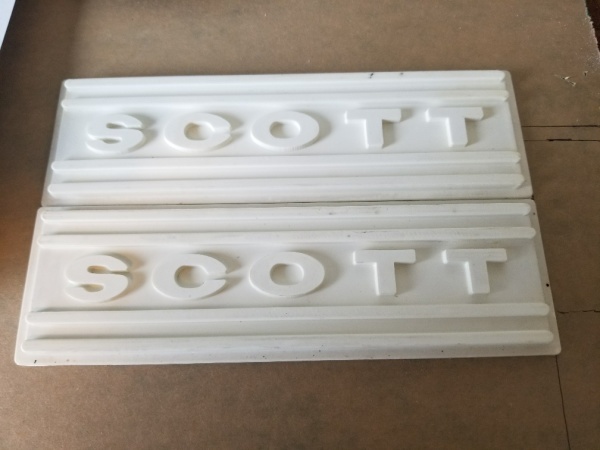 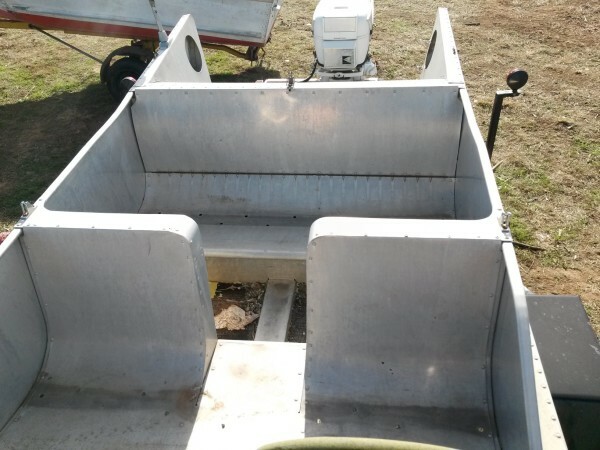 The Items on this Page are for Sale or Trade . 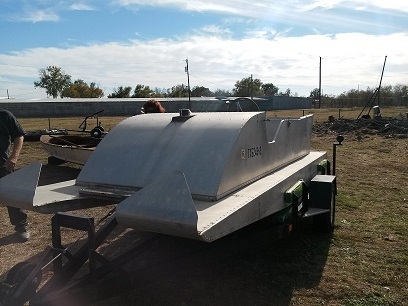 Please call or email for pricing. 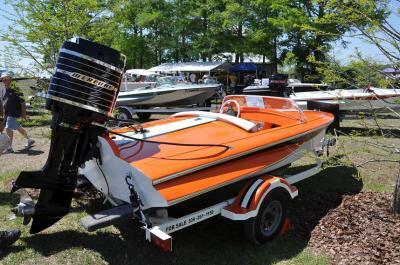 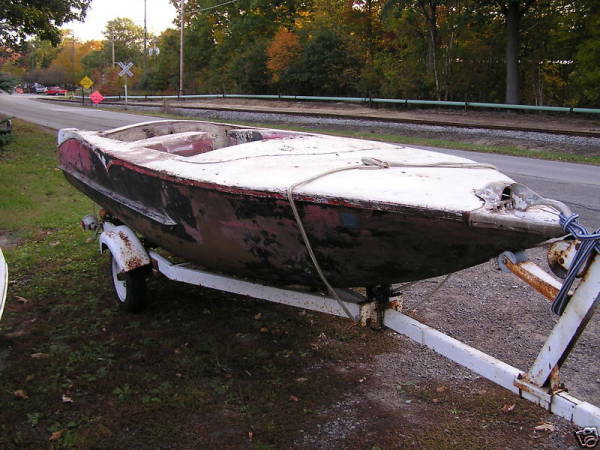 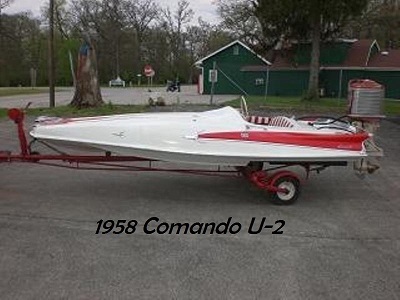 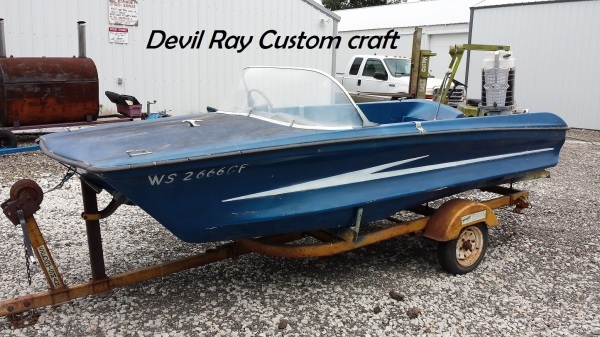 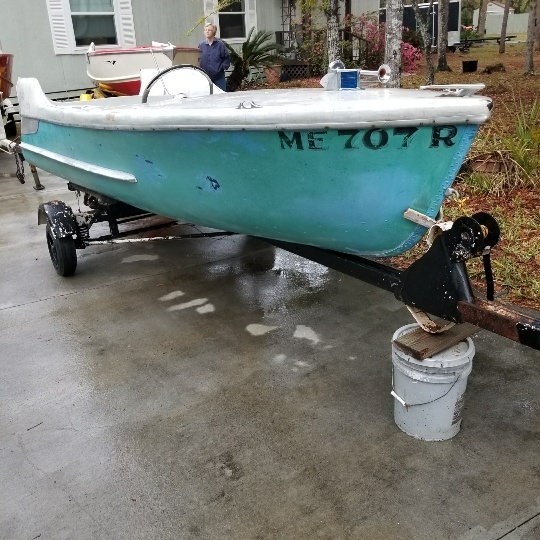 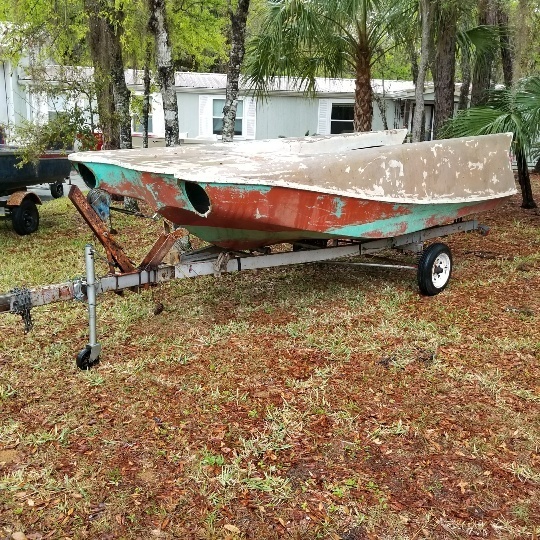 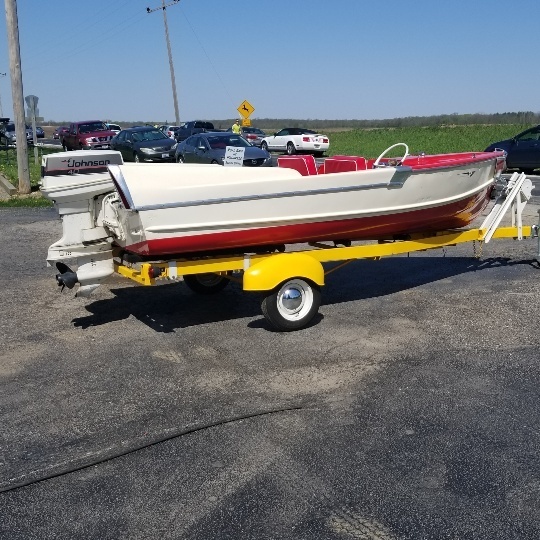 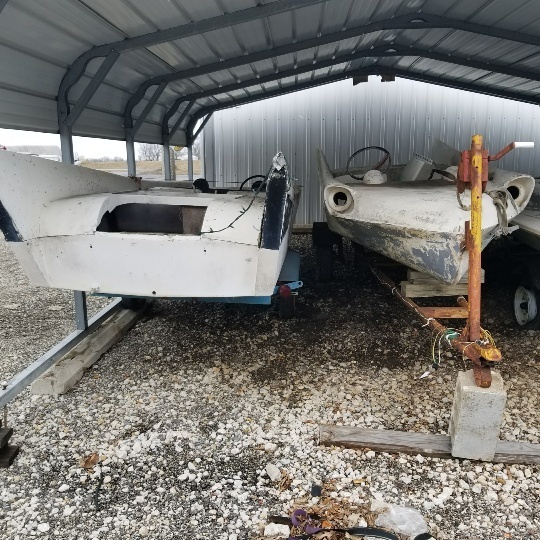 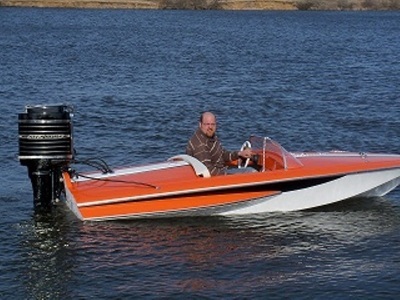 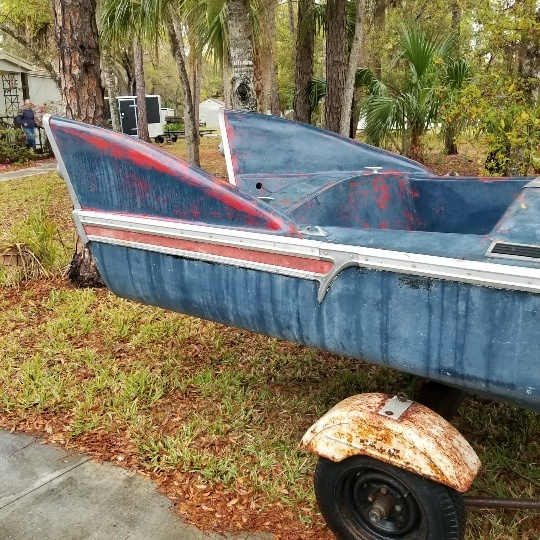 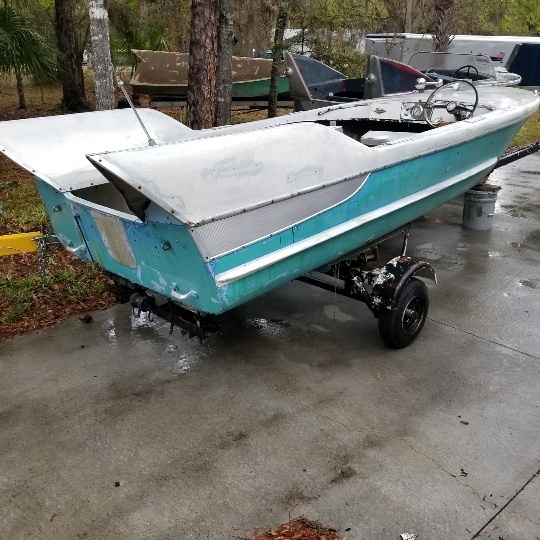 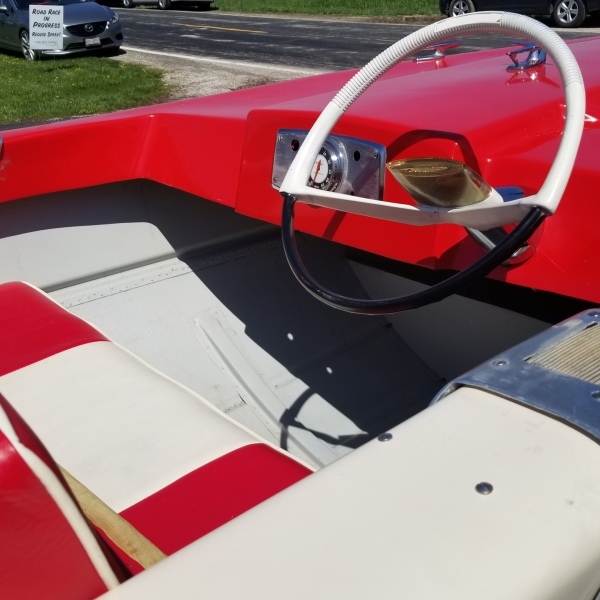 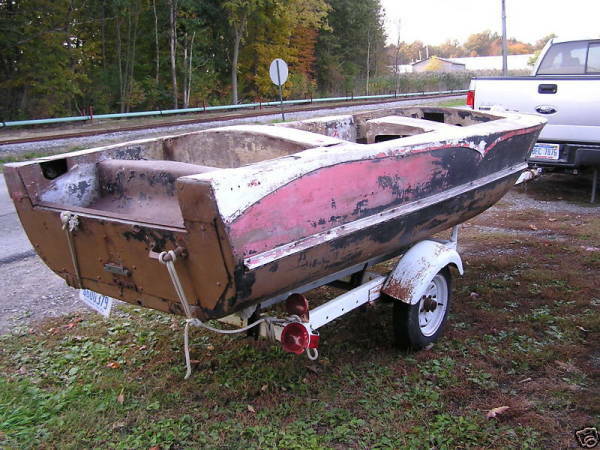 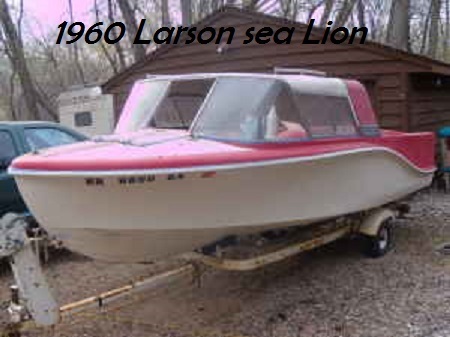 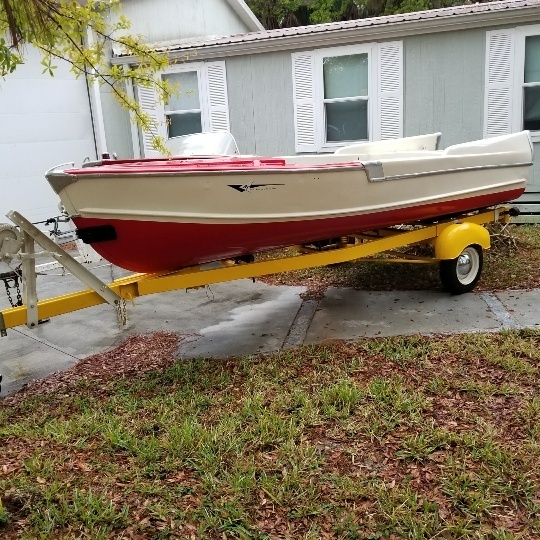 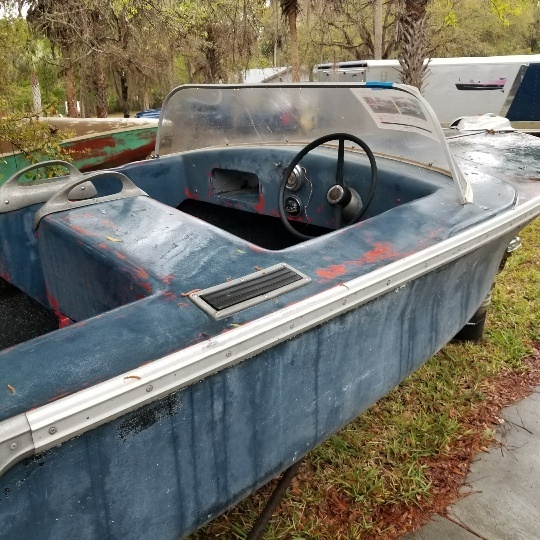 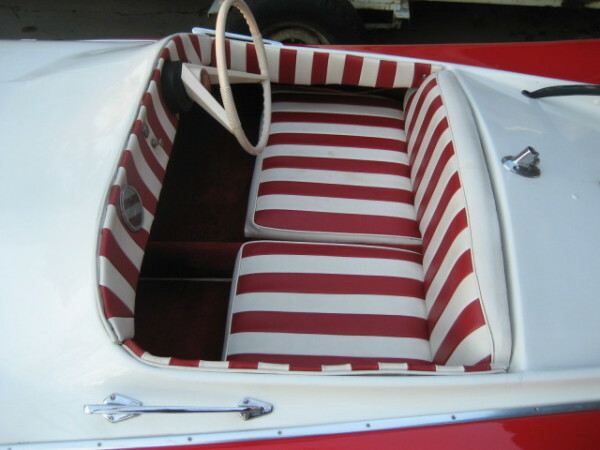 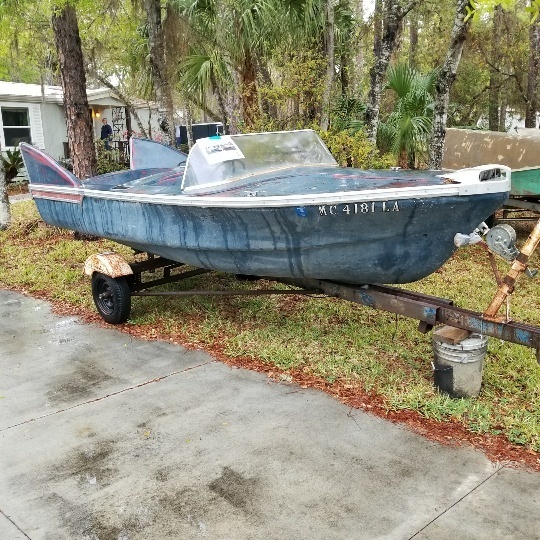 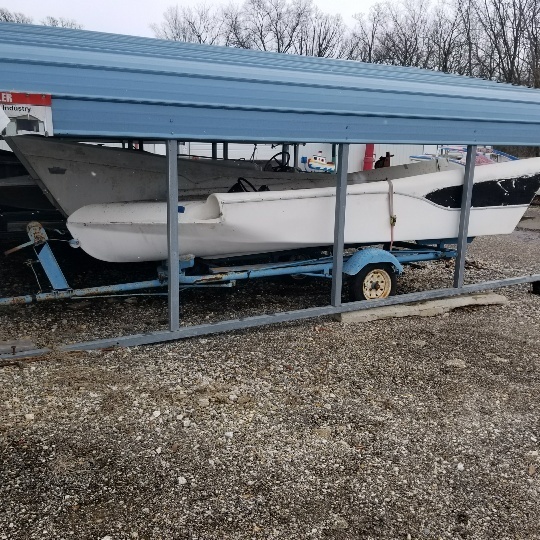 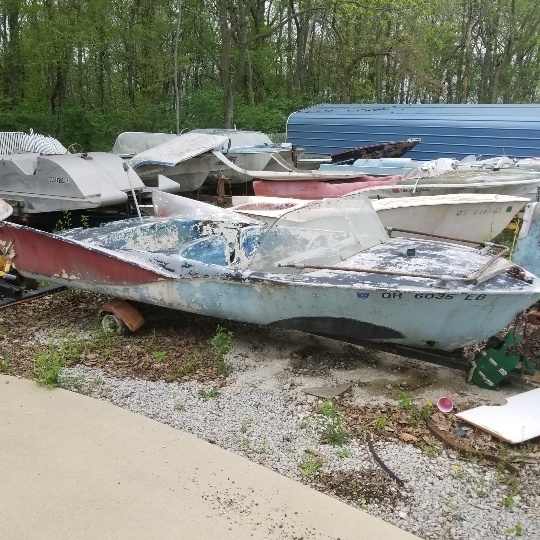 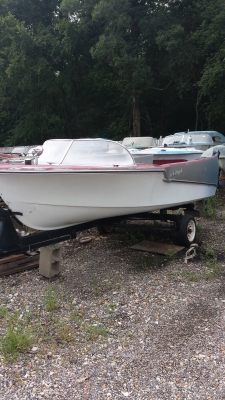 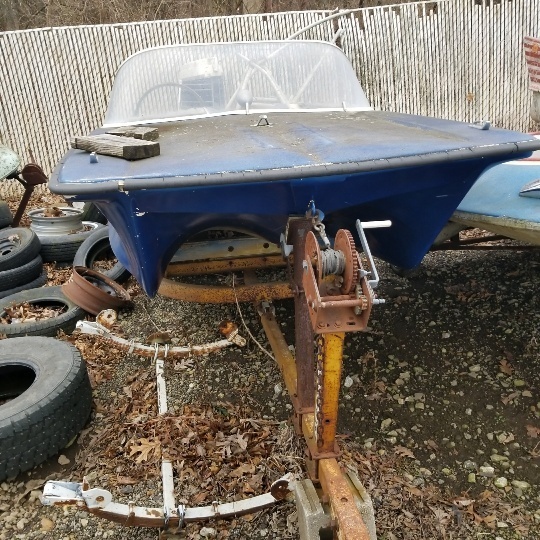 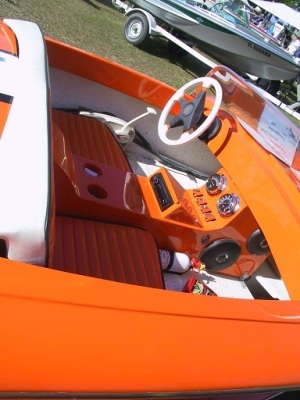 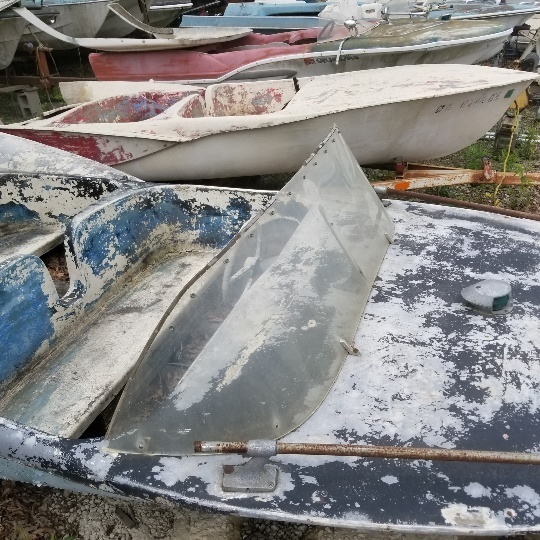 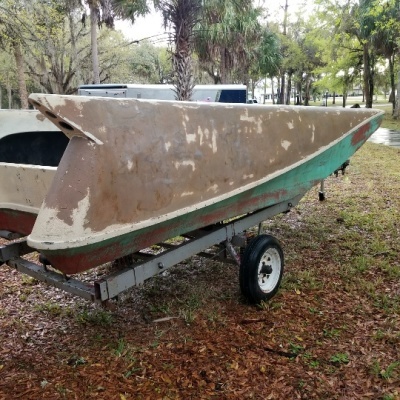 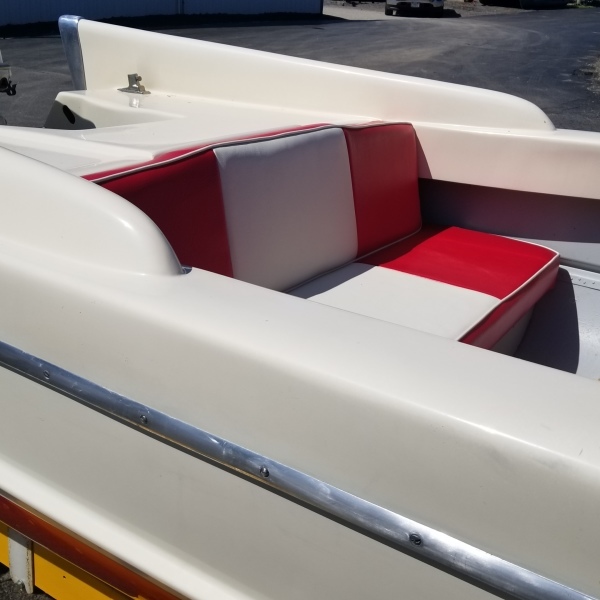 This is a 1958 Herters Flying fish,It looks like a 1957 but this is a rare 58 becuse the fins are about 6in taller than 57 and it has the better hull design.they made alot of 58 but not as many with the taller fin.This boat is pretty much all complete to do it back original correct. 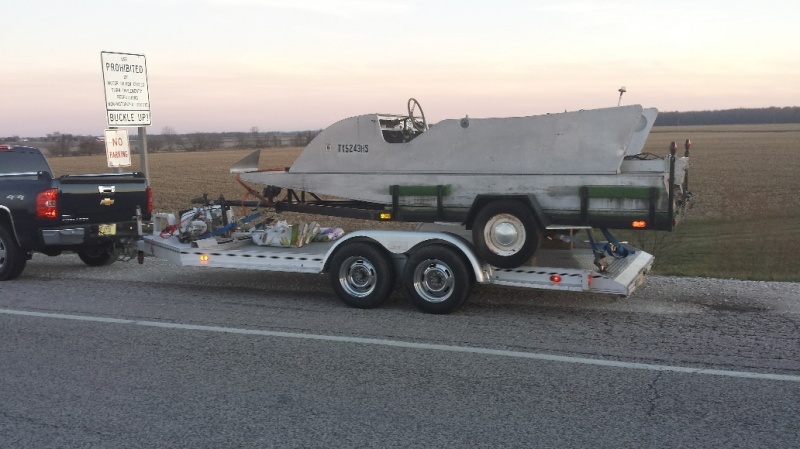 I think it is a period correct Holsclaw trailer. 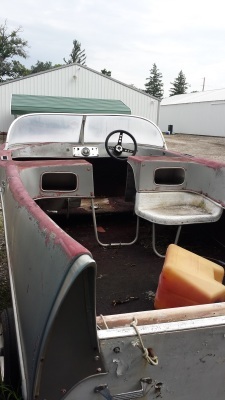 This is a Cadillac Constellation/w a tee nee trailer, this is a aluminium hull with a fiberglass deck,it is an easier one to do,it doesnt have a lot of glazing,cracking and is mostly complete.